As more companies look toward business platforms for competitive advantage, the API marketplace brings the benefits of the platform business model to API management. What's been overlooked is the benefit of having an internal enterprise API marketplace equally as active and energetic. Like a successful external facing API marketplace generates revenue for the business, an internal marketplace can reduce inefficiencies and increase agility, transparency, reusability, and innovation. This talk highlights those key attributes while discussing a path towards building an internal enterprise API marketplace. In his role, Nuwan works closely with WSO2 customers, which include Fortune 1000 companies, to design and develop highly scalable systems to meet their specific requirements. Post implementation, he takes technical ownership and is responsible for customer success of the many projects he oversees. Nuwan has over 10 years of industry experience with particular expertise across the e-government, finance, education, and healthcare verticals. He also has research and development experience in several European Union software research projects during his time at Cirquent GmbH/NTT Data (Munich, Germany). 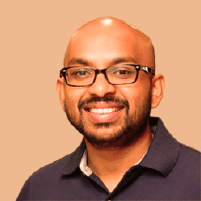 Previously, Nuwan served in multiple roles in the WSO2 Engineering Team ranging from software engineering, technical leadership, product management, and architecture.